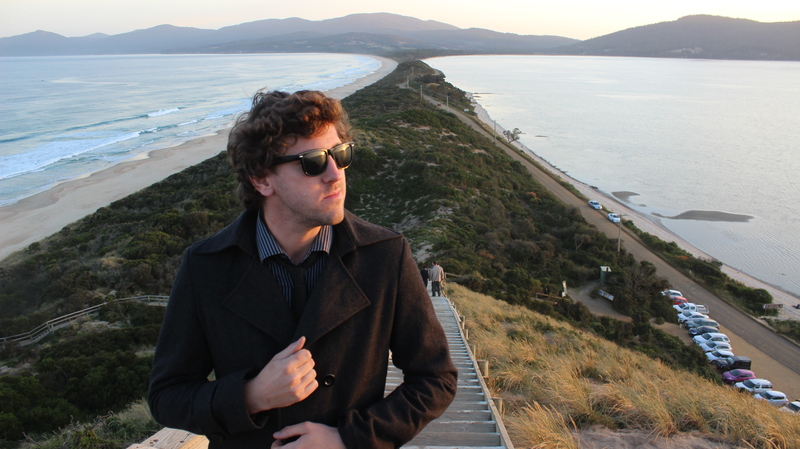 My home state of Tasmania is rather famous for its natural beauty. From untouched beaches to spectacular mountains, there are some incredible sights to see. Tasmania is also rather famous for being small – however, small is a relative term. It takes the best part of a day to drive from one end of the state to the other and then all you’d see is the boring Midlands Highway (no offence Tunbridge, but you are unquestionably dull). 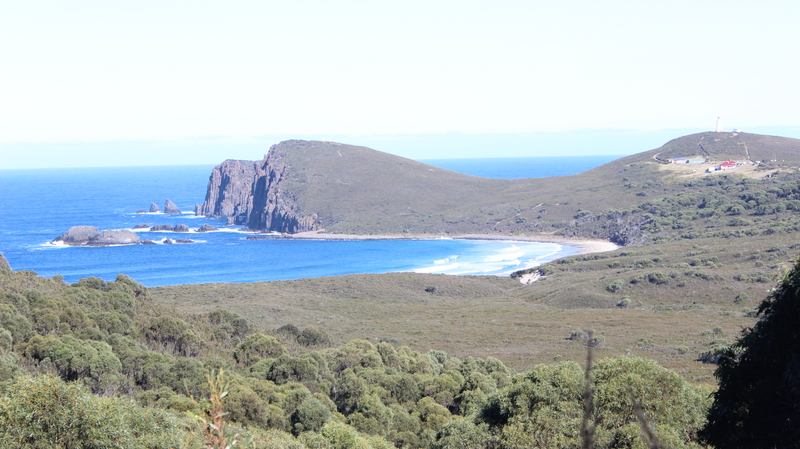 If you want to see Tasmania in microcosm, the place to do so is Bruny Island in the State’s south. Spanning only 50-odd km north to south, most of the island can be explored in a well-organised long weekend. On such a weekend you will be able to see all that Tasmania is famous for: picturesque coastline, unspoiled wilderness, classy wineries, boutique cheese factories and amazing seafood restaurants. Most importantly however, you will also find a stunning range of locally produced whisky. 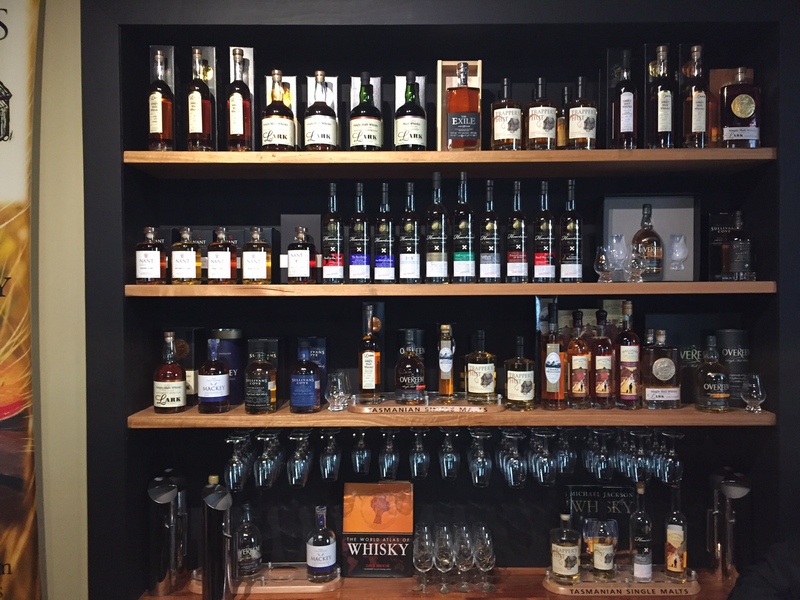 Which Tasmanian whiskies do I refer to? Simple. All of them. 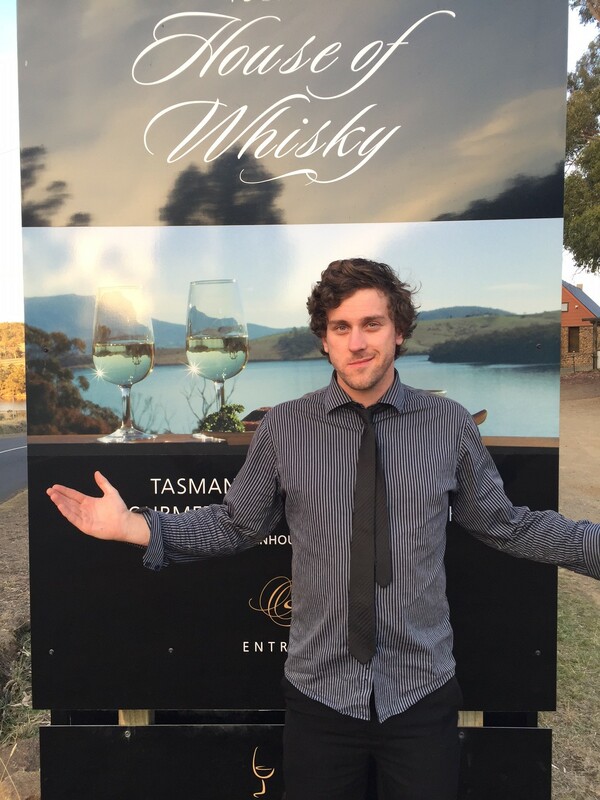 If you ever find yourself anywhere near the vicinity, a trip to the Bruny Island House of Whisky is a must. The range of Tassie drams, from the everyday to the ‘impossible-to-find-anywhere-ever’ is astonishing. The knowledge and passion of owner Lee, his family, and his staff is spellbinding. And the choice of just four drams to include in your personal flight is almost too hard. But not so hard I didn’t manage it. I began with a rare Lark Distillers Edition. For those who haven’t picked up on it, I am of the belief that there is possibly not a more perfect whisky in the world than a Lark Distillers. Although I have to say, the others did their best to challenge this theory. Next was a dram of the Mackey Single Malt, one of Tassie’s new kids on the block in terms of recent releases. Trying this got me well and truly excited to see what is in store for the future of the distillery. Perhaps Whisky Waffle will have to call in there soon. Next I returned to Lark for a cask strength: this one aged in ex-bourbon barrels, a maturation process I hadn’t tried from Lark before, and it was everything I hoped it would be. Finally, I finished it off with another strong contender for best Tasmanian whisky – heck – best whisky full stop: the Overeem Port Cask cask strength. I rarely get a chance to try this one and loved every morsel in the glass. To conclude my tasting Lee allowed me a discounted price to try the mysterious ‘Exile’: a cask strength dynamo with a past connected to both Lark and Sullivans Cove, but mostly shrouded in secrecy. It also blew me away – another strong contender for best of the day. I left the House of Whisky buzzing – partly because of all the cask strength I’d just knocked back, but mostly because of the warm, welcoming and friendly atmosphere and the enjoyable conversation I had found inside. I was also tempted to march straight back in and try all the wonderful drops I had missed off my flight, such as the powerful Heartwood and the fascinating Trappers Hut. Sadly I had a ferry to catch and needed to leave the tiny model of Tasmania and return to the full-scale version. I think that it’s safe to say that I’ll be back sooner rather than later and once more enjoy the charms (and drams) of island life. That’s a lot ‘bests’ there mate! Most envious!!! Trying to pull together a Tassie whisky tasting night later this year and putting out feelers in our network for anything that can meet the criteria of 1) Somewhat accessible in likely hopping spots out of India 2) Not going to break the bank 3) Absolutely rocking or dramatically different! And would love to organise an evening to explore more!!! What say?? Where should our merry Mumbai malt members start?? Ideally you’d be able to find some Lark – that is, after all, where it all began. One of my favourites is Overeem. May set you back a little. As will Nant. However, if you want something spectacularly different the best bet is something made by the mad genius that is Tim Duckett of Heartwood. The Heartwoods are independently bottled and always the stronger end of cask strength – a brilliant way to conclude a tasting. 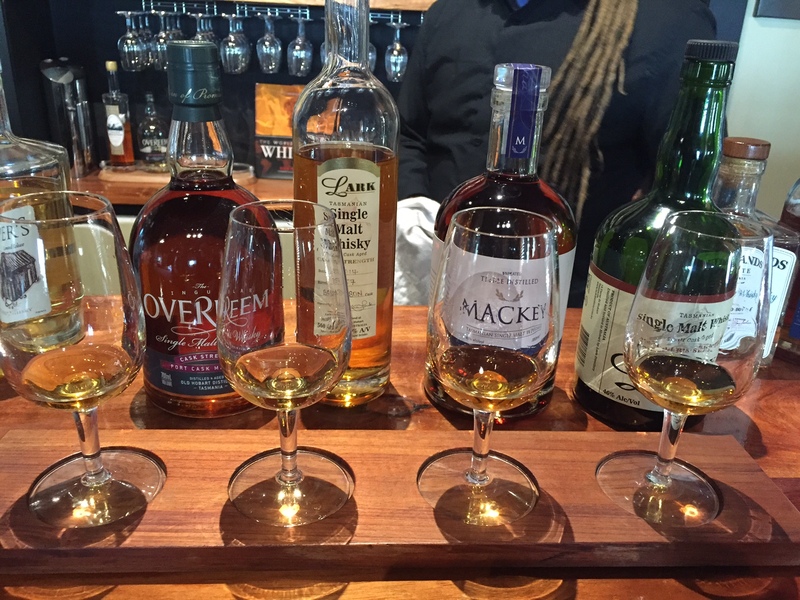 Of course, we’d happily pour you a dram of each if you were within pouring distance! Good luck with the sourcing! Haha! Ah to be in dram pouring distance indeed! 😉 Will get the lads, lasses and I on the sourcing job with our tendrils about the globe.